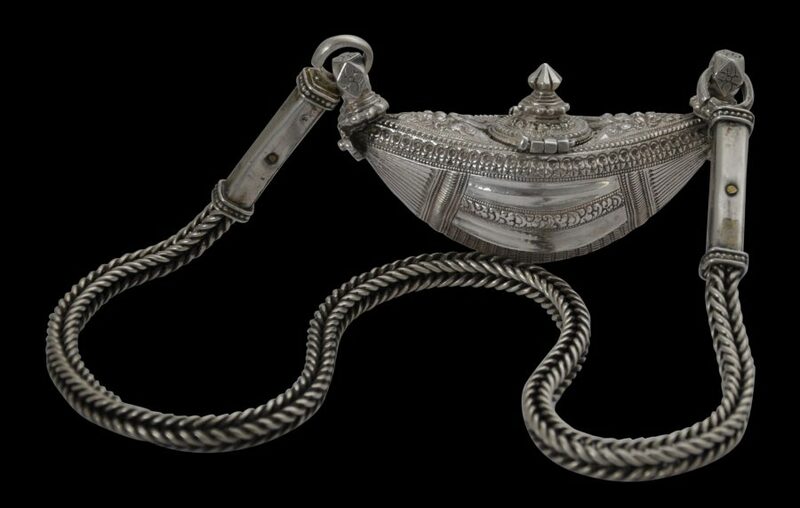 This heavy crescent-shaped silver box has the form of a seed pod or perhaps the hull of a boat. 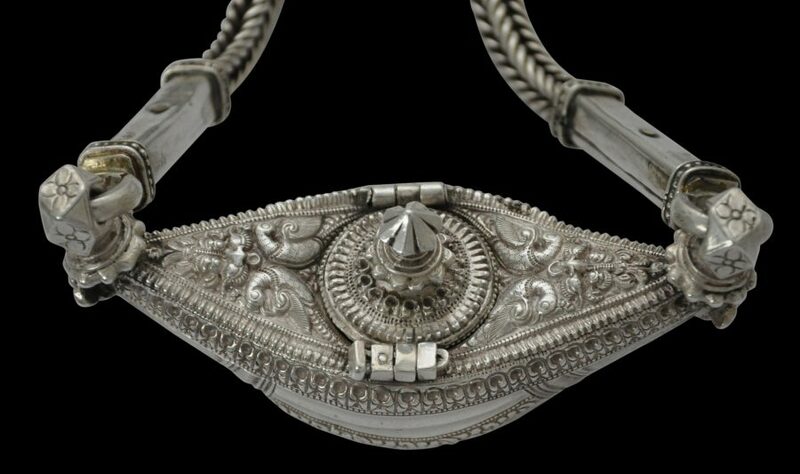 It served as a container for protective talismans and would have been worn around the neck. It has raised rides and bands of foliate decoration. The top is chased with two pairs of addorsed parrots and a pair of protective kirtimukha masks. A hinged lid is decorated in high relief with petal motifs and a high bud-like finial. Prominent eyelets at either end a decorated with applied and engraved flower motifs. The original, thick, heavy silver-wire chain is threaded through these. Related examples are illustrated in Untracht (1997, p. 127) and Borel (1997, p. 144). The example here has clear wear. The presence of the original chain is important – it is superb in its own right.